The EU’s single market was dealt a blow in June of this year when the United Kingdom (UK) voted to exit the EU (Brexit). Article 50 of the Treaty on the EU, which governs the withdrawal process, has never been activated before and while the UK appears to be angling for a more gradual exit through an informal process of negotiation; the remaining EU jurisdictions are eager to get the formal process underway, no doubt for fear, among other things, of political contagion. Uncertainty reigns as pundits try to predict how Brexit will play out. The campaign of United States (US) presidential candidate, Donald Trump, has caused division in the US and even within his own Republican party. Political extremism, violence and division continue unabated across the globe, and the world appears to have run mad. All the more commendable then is the momentum sustained by the inter-jurisdictional collaboration required to implement the OECD/G20 BEPS Project, which seeks to eliminate opportunities for cross-border tax avoidance and evasion while effectively and efficiently preventing double taxation. These endeavours are critical to the establishment of a robust international tax system capable of supporting economic growth and a resilient global economy. More than 100 countries and jurisdictions, including South Africa, are now collaborating to achieve cross-border equity and integrity between tax systems and much effort is being exerted to achieve fiscal transparency and tax capacity building programmes, particularly for developing countries. 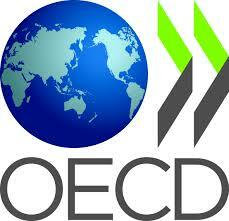 For me, one of the most exciting endeavours of the OECD/G20 BEPS Project, particularly when juxtaposed with the accelerating disintegration of any semblance of unified global action for good; is the progress being made on BEPS Action 15 – the Development of a Multilateral Instrument to Implement Tax Treaty related BEPS Measures. Several OECD/G20 BEPS Project recommendations are to be implemented through amendments to double taxation agreements (DTAs). If undertaken on a DTA-by-DTA basis, the sheer volume of DTAs in effect would make the process arduous and protracted. Recognising the need for an efficient and effective mechanism to implement the DTA-related measures resulting from the BEPS Project, Action 15 of the BEPS Action Plan called for the development of a multilateral instrument. Public international law and tax experts analysed the possibility of developing a multilateral instrument to allow countries to amend their DTAs to implement the DTA-related BEPS recommendations and concluded that such a multilateral instrument was not only feasible but desirable. In May 2015 an Ad Hoc Group comprising 96 countries all participating on equal footing, including South Africa, together with a number of non-State jurisdictions and international organisations participating as observers, was established with the objective of developing a multilateral instrument to modify existing DTAs in order to swiftly implement the tax treaty measures developed during the course of the OECD/G20 BEPS Project. The aim of the Ad Hoc Group is to conclude its work and open the multilateral instrument for signature by 31 December 2016.
measures to address issues with the application of and interaction with domestic law of the exemption method to relieve double taxation (Article 23A of the OECD MTC). treaty shopping employing third-jurisdiction permanent establishments (PEs), which results in non-taxation or preferential tax treatment of the PE’s income. measures to address the splitting-up of contracts to exploit the exception in Article 5(3) of the OECD MTC, which provides that a building site, construction or installation project only constitutes a PE if it endures for more than12 months. provision for MAP to apply in cases contemplated under Article 9(2) of the OECD MTC when adjustments are made under a DTA by one Contracting State to the taxation of profits of an associated enterprise, the profits of which have already been taxed in the other Contracting State, allowing for the competent authorities of relevant Contracting States to remedy the double taxation precipitated by such adjustment on a semi open- ended basis. The MAP is of fundamental importance to the proper application and interpretation of DTAs. Action 14 aims to strengthen the efficacy of the MAP with a view to ensuring timely dispute resolution. It is encouraging that several countries have declared their commitment to provide for mandatory binding MAP arbitration as a mechanism to guarantee that DTA-related disputes will be resolved within a specified time frame in consequence of which an optional provision on mandatory binding MAP arbitration is being developed as part of the negotiation of the multilateral instrument. A number of technical issues arise in the course of developing a multilateral instrument to modify DTAs, including, but not limited to, ensuring compatibility between the provisions of the multilateral instrument and the existing DTA network; ensuring consistent application and interpretation of the DTA-related BEPS outputs across the diverse range of DTAs by issuing a supporting explanatory statement or commentary in conjunction with the multilateral instrument; and ensuring the accurate modification of DTAs in multiple authentic languages. The multilateral instrument is being negotiated in English and French but will be employed to modify DTAs in several other authentic languages. Having overcome far greater obstacles to reach this point, the Ad Hoc Group is forging ahead with the formulation of the multilateral instrument, undeterred by these technical issues. When the multilateral instrument is opened for signature later this year, it will signify a milestone for public international law and tax law. The attainment of inter-jurisdictional collaboration on such a grand scale is cause for celebration, particularly when viewed in contradistinction with the current state of global divisiveness.